DELAWARE, Ohio – The Community Film Series returns to the Strand Theatre this year for seven weeks in March and April. The annual series is a collaboration between the historic movie theatre, 28 E. Winter St., Delaware, and the Ohio Wesleyan University Department of English and Film Studies Program. All films will be screened at 9:30 p.m. Tuesdays and again at 7:30 p.m. Wednesdays. Tickets are $7 for general admission; $6 for military personnel and Ohio Wesleyan students and employees, and $5 for senior citizens. Orson Welles and Joseph Cotten reprise their “Citizen Kane” roles as uncomfortable friends in this classic film scripted by Graham Greene, directed by Carol Reed, and photographed by Robert Krasker. 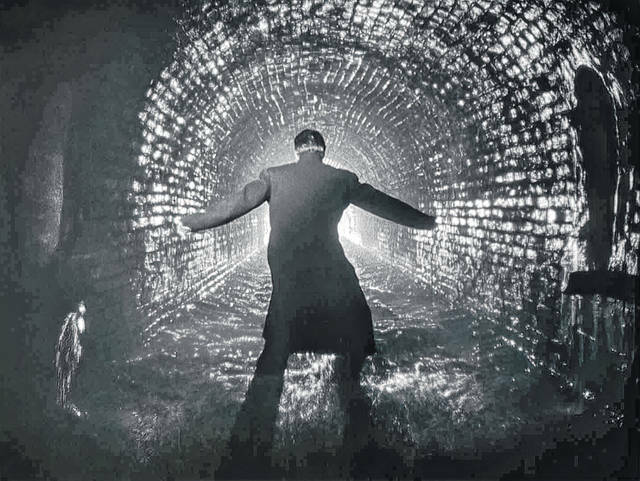 A film noir set in postwar Vienna with a famously haunting zither score, this film has been named a top favorite by many critics, including David Ansen of Newsweek. Julianne Moore, Dennis Quaid, Dennis Haysbert, and Viola Davis star in this Todd Haynes tribute to 1950s melodrama about a troubled marriage. In his update, Haynes covers topics taboo in the originals, such as interracial romance and homosexuality. It won Best Picture and Best Director awards from the Chicago and New York Film Critics Circle, among others. Ang Lee’s adaptation of Annie Proulx’s novella won him an Oscar and a Golden Globe for Best Director and screenwriters Larry McMurtry and Diana Ossana Best Screenplay awards from the same organizations. Jake Gyllenhaal and Heath Ledger star as lonely cowboys who fall in love. Anne Hathaway and Michelle Williams also star as the men’s unhappy wives. Just out of prison for assault, Mary, who suffers from anger management issues, is just in time to act as her best friend’s maid of honor. And Mary is determined to prove that she can do what nobody believes she can – find a date for the wedding. The film was named Best Irish Film by the Dublin Film Critics and called “a delight” by Variety critic Jessica Kiang. Noted indie director Kelly Reichardt co-wrote and edited this story of a young woman, played by Michelle Williams, who loses and searches for her dog, Lucy. J.R. Jones of Chicago Reader described the film, named American Film Institute Movie of the Year, as “masterful,” and New Republic’s Stanley Kauffmann called it “a treat.” Lucy won the Palm Dog at Cannes. The iconic, nonprofit Strand Theatre celebrates its 103rd year in operation in 2019 and stands today as one of the 10 longest-operating theatres in the United States and one of the few remaining independent theatres showing first-run films. Estimated to have an economic impact of $1 million annually to the Delaware community, the Strand serves 75,000 patrons per year and is open 364 days a year. Learn more at www.thestrandtheatre.net. We are painfully aware that many residents still have not had their final trash collection from Republic and have trash, recycling and blue Republic carts at their curbs. As of today Jason, our new contact at Republic is telling us it is scheduled to be complete by the end of this week (Saturday 2/16.) We have seen trucks in the township sporadically over the last week but know that many areas remain untouched. PLEASE DO NOT CONTINUE TO USE THE REPUBLIC CANS FOR TRASH OR RECYCLING. Use your new Rumpke containers. Please do not contact Vic Citro. He is not the rep for this area any longer. Jason can be reached at 614-272-3728. The township is communicating daily with Republic. We share your frustration and will keep you up to date with any further news. COLUMBUS, Ohio (AP) — The Ohio hospital system that found a doctor ordered possibly fatal doses of powerful painkillers for dozens of patients has tightened policies and drug access to address problems in pharmaceutical services that jeopardized Medicare participation for two hospitals, according to corrective plans submitted to the U.S. Centers for Medicare and Medicaid Services. The changes outlined for Mount Carmel West hospital in Columbus and Mount Carmel St. Ann’s in suburban Westerville included further limiting when and how such medication can be accessed from an automated dispensing system using emergency orders outside of the usual protocols. They were instituted in the wake of Mount Carmel’s finding that intensive care doctor William Husel ordered excessive doses for 34 patients over several years, mostly at Mount Carmel West. Mount Carmel initially said affected patients were near death, but subsequently said it’s investigating whether some received possibly lethal doses when there still might have been an opportunity to improve their conditions with treatment. Meanwhile, Husel and Mount Carmel face at least 16 wrongful-death lawsuits as families question whether hospital staff improperly ordered and administered drugs to hasten patients’ deaths without their knowledge. Another case filed earlier alleges Mount Carmel West’s chief pharmacy officer, Janet Whittey, knew about employees prescribing, approving and administering excessive painkiller doses but didn’t stop it from recurring. One of Whittey’s attorneys, Justin Morocco, declined to comment Tuesday. Whittey left the job on Feb. 5. Mount Carmel won’t say whether her departure was voluntary or forced, and her email notification to the Board of Pharmacy gave no explanation. Mount Carmel has publicly apologized and said after firing Husel that it put 23 more employees on leave pending further investigation, including 14 nurses, six pharmacists and managers. It hasn’t named them or disclosed further details about them. COLUMBUS, Ohio –Differences in cognitive development between hearing and deaf children start in infancy, according to new research by The Ohio State University College of Medicine published today inthe journal PLOS ONE. While there is a growing body of research in preschool and school-age children that provides evidence of differences in cognitive abilities between deaf and hearing children, researchers at The Ohio State University Wexner Medical Centerwanted to know when those differences emerge. To do this, study co-authors Claire Monroy, post-doctoral otolaryngology fellow, and Derek Houston, associate professor of otolaryngology, became the first to compare visual processing skills in hearing and deaf infants. They found it takes longer for deaf infants to habituate or become familiar with new objects, which highlights a difference in how the infants process information, even when the information is not auditory in nature. “This research lays the foundation for further exploration into the causes of these differences and their implications,” said Dr. K. Craig Kent, dean of the College of Medicine. When a baby successfully encodes a visual object, they lose interest and look away. To test their visual processing skills, researchers showed 23 deaf infants and 23 hearing infants ages 7 to 22 months a colorful object on a screen. Deaf infant looking times were 30 seconds longer than hearing infants and the deaf infant look-away rate was approximately 40% lower than hearing infants. “This is somewhat counter intuitive because a lot of people assume that deaf children compensate for their lack of hearing by being better at processing visual things, but the findings of the study show the opposite,” Monroy said. However, researchers say the results don’t necessarily mean that deaf children are learning at a slower pace. Future research will examine why these differences in visual learning exist so that each child is taught in a way that works best for them and helps them reach their full potential. COLUMBUS – The suspect and victim in yesterday’s abduction from the Ohio State University Mansfield campus have been located in Kentucky. Yesterday morning at approximately 11:45 a.m., the (Ohio State Highway) Patrol was notified of an abduction at gunpoint of an OSU student from the Mansfield campus. Witnesses described the suspect and victim and provided a description of them, and the vehicle driven by the suspect. Law enforcement quickly identified the suspect as Ty’Rell Pounds, 24, of Mansfield. The victim was identified as Skylar Williams, 20, also of Mansfield. It was later discovered, the vehicle Pounds was driving had been abandoned at an Enterprise car rental facility and a dark gray Dodge Caravan had been stolen from another residence. Information about the abduction was broadcasted to law enforcement and Caution Ohio Police entries were activated in Ohio and surrounding states in the Law Enforcement Automated Data System (LEADS). Residences of known family members and associates were checked and all leads and tips of their whereabouts were exhausted. The current status of Pounds and Williams relationship is unknown, but it was confirmed the two had a child. The child was safe with family when the abduction occurred. Late yesterday, the Patrol was notified the suspect had been involved in a pursuit and violent altercation with Kentucky State Police Troopers. We have since confirmed both the suspect and the victim have been confirmed deceased. The Kentucky State Police will be source of all information pertaining to that incident. CAPA presents Punch Brothers at the Southern Theatre (21 E. Main St.) on Wednesday, March 20, at 8 pm. Tickets are $38.50-$58.50 and can be purchased in-person at the CAPA Ticket Center (39 E. State St.), online at www.capa.com, or by phone at (614) 469-0939 or (800) 745-3000. All Ashore, the quintet’s fifth album and the first to be self-produced, also has an appealingly relaxed virtuosity to it, self-assured but never showy. It is both ambitious and easygoing, a lot like the “ridiculously eclectic” combo, as London’s Guardian once called the band. The work has the feel of a nine-song suite, one that invites you to unravel the threads of its connected themes and stories over repeated listening. Each track segues seamlessly, even a little sneakily, into the next. Before you know it, “The Angel of Doubt,” a dark-night-of-the-soul drama featuring a vocal from singer/mandolinist Chris Thile, has glided into “Three Dots and a Dash,” an instrumental that veers from ruminative to rave up, named in tribute to a classic Tiki cocktail, Thile’s latest recreational obsession. Westerville, OH—The Telos Trio chamber music ensemble will perform at two upcoming concerts in central Ohio, including one at Otterbein University on Feb. 22 and one at St. Stephens Episcopal Church on Feb. 24. Both events are free and open to the public. The Telos Trio is based out of the Hochstein School of Music and Dance in Rochester, NY. They are a flute, clarinet, and piano trio presenting thematically-based concerts that bring music together with other arts, culture, literature, and spirituality. The members of the trio are Rita George Simmons, flute; Debbie Grohman, clarinet; and Willie LaFavor, piano. The Otterbein University Department of Music will present a program titled “Inverse: Music Based on Poetry” by the Telos Trio at 8 p.m. on Friday, Feb. 22, in Riley Auditorium at the Battelle Fine Arts Center, 170 W. Park Street. The program includes Gwyneth Walker’s Full Circle, based on poetry of Walt Whitman and Wendell Berry, Henry Bishop’s Lo, Here the Gentle Lark, based on poetry of Shakespeare, and Valerie Coleman’s Portraits of Langston, based on poetry of Langston Hughes. Joining the trio to read the poems inspiring the music will be Otterbein theatre students Reuben Reese and Madeleine Norton. More information about the Otterbein University Department of Music and its concert schedule can be found at http://www.otterbein.edu/music. For more information about this event, visit https://www.facebook.com/events/402010217201010/. The Telos Trio will perform a program titled “Gathering Light in Sound and Word” at 2 p.m. on Sunday, Feb. 24, at St. Stephens Episcopal Church, 30 W. Woodruff Ave., Columbus. Featuring works by Bloch, Cavallini, Emmanuel, Debussy, and del Aguila, this concert will also include readings of poetry by Samuel Taylor Coleridge, Sara Teasdale, Esther Leclerc, Rabindranath Tagore and Billy Collins. The reader will be Craig McVay, Columbus poet and St. Stephen’s parishioner. COLUMBUS, Ohio – Fourteen individuals have been selected for induction into the Ohio High School Athletic Association Officials Hall of Fame. The OHSAA Officials Hall of Fame induction banquet is scheduled for June 15 in Columbus and will welcome these 14 individuals selected by the OHSAA Officials Hall of Fame Committee.